Students after SPM or O-Levels who are sure of pursuing a degree course in mass communication, media studies, social media marketing, broadcasting, journalism, design, public relations, advertising, branding or marketing communications may go for the more specialised Foundation in Communication & Media Studies. The Foundation in Communication & Media Studies is more affordable than the External Pre-University Programmes and less rigourous. It would be easier to score high grades in order to obtain scholarships for the degree studies. Top Private Universities in Malaysia offer the 1-year Foundation in Communication & Media Studies with about 15 subjects. Students need to choose the best private university in Malaysia that provides a conducive environment for study as well as to equip them with the necessary knowledge and skills supported by excellent facilities. Students need to choose a university that provides good quality Pre-University education that prepares the them to meet the demands of undergraduate study. The Pre-University Programme should have a certain degree of flexibility where students can make their choice of selecting a discipline at a later stage rather than at the beginning of the course. Students who plan to pursue a degree course in arts and media can go for the Foundation in Communication & Media Studies at Top Private Universities in Malaysia. One of the factors in choosing to study a course and joining a university is the entry requirements. Students after SPM or O-Levels need to check with the particular university of interest to see if their results meet the admission requirements for entry. Foreign Branch Campus universities in Malaysia have higher entry requirements. To enter into the Foundation in Communication & Media Studies programme in Malaysia, students after SPM would need at least 5 credits in the relevant subjects with a pass in BM and Sejarah. The Foundation in Media Studies at IACT College is a 13-month programme that exposes students after SPM or O-Levels to the fundamental scope of creative communication, media and design. The broad range of subjects gives students the flexibility to enrol into any of the UK Degrees offered at IACT College. The curriculum is designed to prepare students, who have completed SPM or with equivalent qualifications, with the critical thinking and communication skills needed to succeed in a UK degree. To enter the Foundation in Media Studies at IACT College, students will need at least 5 credits in SPM or O-Levels. Upon completion of the Foundation programme, they can then continue on to the 3+0 UK Degree in BA (Hons) Media, Culture and Communication (3+0) University of Sunderland, UK or the BA (Hons) Advertising and Design (3+0) University of Sunderland, UK. The 3+0 degree programmes are in collaboration with the University of Sunderland, UK. With higher entry requirement standards, students completing SPM or with equivalent qualifications will be among an elite group of students that are committed to earning a UK degree. The curriculum is designed specifically to prepare students with the critical thinking and collaborative skills needed to succeed in the programme. This environment will provide students with a smoother transition into their degree than any other course option. Designed with a broader range of studies, from media and communication to advertising and design, students are prepared to enter any of the UK degrees offered at IACT College. The range of courses also exposes students to the entire scope of the creative communication industry, empowering them to make an informed decision on which degree they should pursue. The Foundation in Media Studies at IACT College invites students to change their mind-set about being creative by helping them to understand creativity, what it takes to be creative and how to be a creative thinker. Besides developing the students’ creative thinking, it also helps to hone their analytical skills, how to apply their creativity in problem-solving situations and idea generation. This subject introduces students to the field of journalism. The structure of this course goes through the entire process of news writing, from gathering information, writing, to ethics and publication. 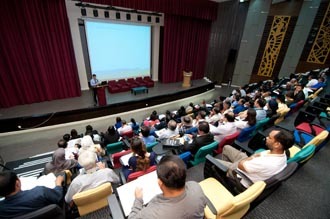 Students will also learn how journalism differs significantly from other forms of media in terms of daily processes and practices, regulation, as well as writing techniques. As an introduction, it will explore the discipline of sociology, its theories and its research methods. It discusses issues on the relationships between the individual culture and society and how social and cultural instill influence personal experience and group behaviour. This module offers an introduction to the theory and practice of public relations, enabling students to position PR within a business context. The module traces the emergence and development of PR through analysis of case studies and theoretical models. It develops key skills in planning, strategy, team working, news release writing and communication skills across a range of media. Students after SPM or O-Levels who are sure of taking mass communication may go for the Foundation in Communication at Taylor’s University. Students may choose 5 mass communication majors for their degree at Taylor’s University. The majors are Advertising, Broadcasting, Public Relations, Public Relations & Event Management or Public Relations & Marketing. Students who are not sure of which arts-related course may take the Foundation in Arts at Taylor’s. Taylor’s University is acknowledged to be the best university for mass communication in Malaysia having won many awards and an excellent industry-centred curriculum. Taylor’s University is acknowledged to be the best university for mass communication in Malaysia having won many awards and an excellent industry-centred curriculum. Taylor’s University 1-year Top Rated Foundation in Communication programme exposes students to the fundamentals of the communication industry and how to deal with the complexity of issues, people and organisations. The programme has a balanced assessment method, whereby 50% of the evaluation is allocated to various continuous assessments such as quizzes, course work, class test, projects and oral presentations, while the remaining 50% to the final exam. It is highly recommended that students completing their secondary school studies up to SPM level and thinking of enrolling at a top foreign university campus like Curtin University, Sarawak Malaysia (Curtin Sarawak) enter one of its top foundation programmes. Students interested in Arts Stream and Business degree courses may go for the Foundation in Commerce or Foundation of Arts (Media). It could prove a critical stepping stone to tertiary study not only at the Curtin Sarawak campus, which is Curtin University’s largest international campus, but also Curtin’s main campus in Perth or any of Curtin University’s other campuses in the region. Commerce and Foundation of Arts (Media). According to Professor Dr. Ir. Yudi Samyudia, Deputy Pro Vice-Chancellor of Curtin Sarawak, the foundation programmes are intensive, focused programmes that enable students to adapt easily to the Curtin academic system. They also guarantee them entry to Curtin’s undergraduate programmes upon successful completion. “The programmes challenge the students to become active learners who can acquire, interpret, communicate and apply knowledge within and across disciplines to cultivate the integrative thinking required in a complex and rapidly changing world,” said Professor Samyudia. Low student-lecturer ratios in classrooms mean the students enjoy a friendly study environment with individual attention and pastoral care. All the academic staff in the foundation programmes are highly qualified and dedicated to ensuring their students get the most out of their programmes. research methods, modern laboratory projects, group projects, oral and multimedia presentations. Students enjoy advanced technological support such as a modern library, well-equipped laboratories, ample supplies of learning materials, Internet access, and access to online resources at Curtin’s main campus in Perth, Western Australia. The courses are aimed at developing academic diligence, critical analysis, and a raft of generic skills in students. They provide a solid foundation for the students to adapt to university education more confidently, both in terms of level and style of education. Both courses are recognised by the Ministry of Higher Education and the Malaysian Qualifications Agency (MQA). Curtin Sarawak’s impressive 300-acre campus opened in 2002, in the suburb of Senadin, in Miri. The course prepares students for undergraduate study in Arts and Commerce. It has two streams and several units that are common to all foundation courses like Effective Communication skills and Writing and Research Skills. In the Commerce stream, students study units in Commerce Mathematics, Economics, Accounting and Business Management. In the Arts & Media stream, they study units in Media and Communication, Journalism, Information Technology, 20th Century World History, Travel Writing & Photography, Screen Production and Visual Culture.